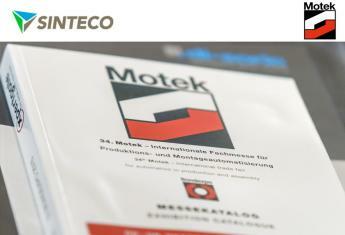 From 10th to 13th October, Sinteco will participate in the 35th edition of Motek Fair at Hall 3 Stand 3157 on the Stuttgart Exhibition Centre (Germany). Motek is the international trade fair in the field of production and assembly automation, feeding technology, material flow, streamlining through treatment technology and industrial handling. Motek is the only trade fair to focus clearly on all aspects of mechanical engineering and automation. The consistent target-group orientation is one of Motek’s secrets of success. Focal target groups include automotive, machineries and production equipment, manufacturing, electrical and electronics industries, medical devices and solar production, as well as metal and plastic processing companies. Every year in the exhibition centre of Stuttgart (in an exhibition area of 63,000 square feet), over 1,000 exhibitors meet with an international public of more than 38,000 specialists, coming from nearly 100 countries around the world. 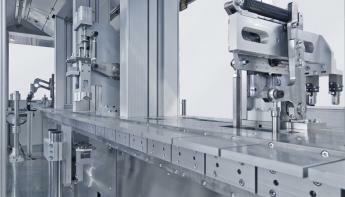 At Motek 2016, Sinteco will exhibit an automated assembly and testing machine, high cadence linear indexing chassis endowed with intermittent cam mechanisms. The system was designed and manufactured for assembly of medical devices. The machine is made up of materials in compliance with production requirements in clean room. System’s benefits are: remarkable transfer speed, constant indexing time, no downtimes, reduction of noise and vibrations, controlled acceleration, reliable and precise assembly of disposable plastic components. 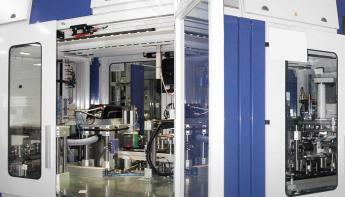 The medical automations of Sinteco offer a wide range of assembly technologies, such as the integration of feeding systems, control, supervision, handling, cutting, welding, dosing and so on. Furthermore, thanks to the highly specialized team of mechanical, electronic and software design, SInteco manufactures reliable, state-of-art machines in order to guarantee customer’s satisfaction. See you at Stand 3157 - Hall 3, Stuttgart Exhibition Centre (Landesmesse Stuttgart GmbH), Germany.